Much of Crypto-Jewish history often focuses on Spain, but Portugal, of course, was a key site of Crypto-Jewish activity. The circumstances were often different than in Castile or Aragon but just as fascinating. The following article from the Canadian Jewish News relates some Portuguese Jewish history. 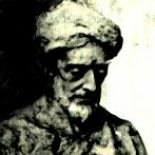 This entry was posted on March 8, 2019 by rambam442013 in Crypto-Jewish History, Sephardic History and tagged Crypto Jews, portuguese Crypto-Jews, Portuguese Inquisition.